For the past 10 years, Dr. Louise Henson has been working as locum tenens physician. Because she’s a temporary doctor, Henson can avoid long hours and being on call, and can set her own hours and doesn’t have to worry about taking time off for family or personal commitments. Until recently, locum tenens physicians traditionally filled in for colleagues who were ill, traveling or otherwise unable to work. Now, the opportunity to work as a temporary doctor is becoming an attractive option for physicians who feel burned out. Healthcare facilities are also seeing the benefits of employing more locum tenens staff members. 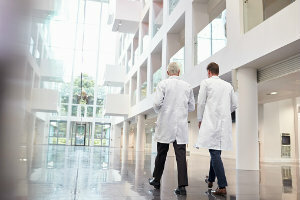 A recent report from locum tenens staffing agency Staff Care found temporary doctors are on the rise. Here are five things to know about the increase in locum tenens physicians. 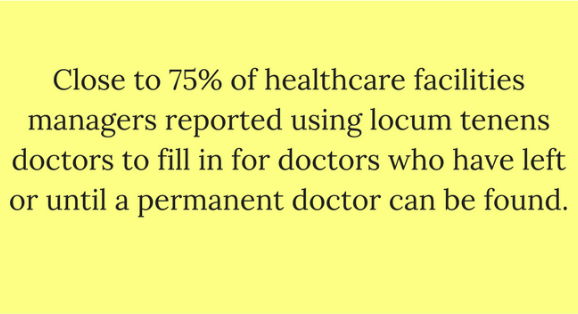 To put that in perspective, 74 percent of healthcare facilities managers used locum tenens physicians just four years ago. 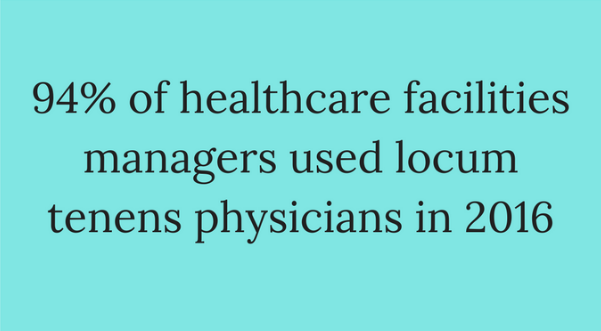 Of those facilities’ managers who reported using locum tenens physicians, 74 percent reported using at least one temporary doctor in a typical month. Other popular reasons for using temporary doctors include meeting rising patient demand, filling in during peak usage times and for telemedicine needs. 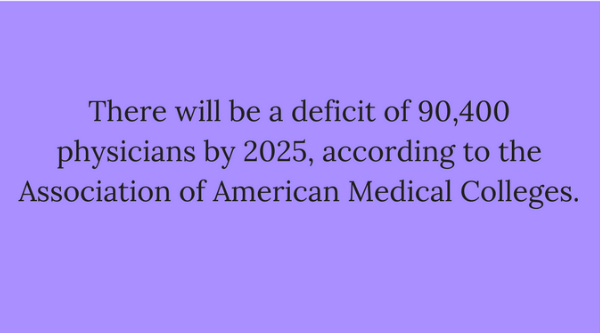 The increased aging population — as well as aging doctors — and the ability for more people to obtain health care has contributed to the projected deficit. Only about 15 percent of physicians chose to work locum tenens when they were right out of residency, and almost 36 percent chose locum tenens after they retired. 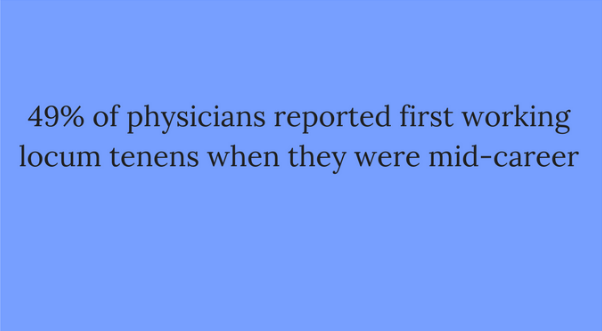 The majority of temporary doctors were aged 51-70. According to NALTO, the National Association for Locum Tenens Organizations, physicians who work locum tenens can make themselves more marketable by working in a variety of situations and locations. In the Staff Choice survey, locum tenens physicians said the top benefits of working as a temporary doctor were the freedom/flexibility (86 percent), the pay rate (50 percent) and no politics (48 percent). For hospitals, having locum tenens physicians on staff can help reduce readmissions, according to NALTO. These physicians help to ease the time crunch experienced by permanent physicians by following up with patients. Whether you’re a physician or a healthcare facility manager, locum tenens can provide the change of pace you need or the staff required to keep your facility running smoothly.